Last year, Sheila Marshall noted that “you don’t have to have made sloe gin or other liqueurs to enjoy the night complete with Royal Oak Village Night main courses at £7.00 (booking advisable)”. 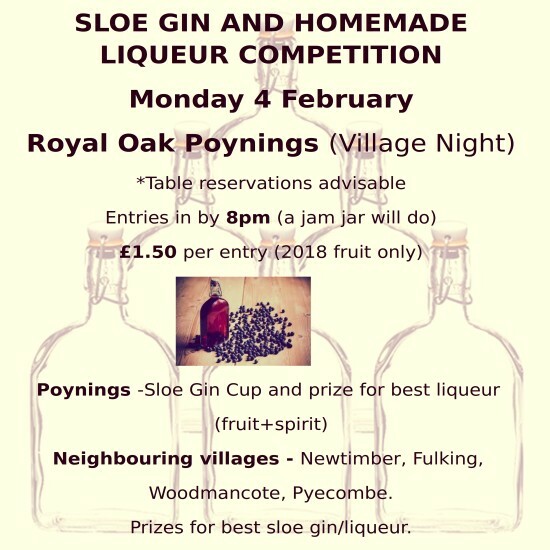 This entry was posted in Food & Drink, Home Page, Poynings, Sport and Recreation. Bookmark the permalink.